What is a Launch Pad Website? Nobody can be blamed for wanting to dive into the deep end to create and publish a brand new website to show off to the world. While that’s possible in the traditional web design method, you wouldn’t exactly be setting yourself up for success.  Using the Growth Driven Design (GDD) process, you can actually get a new website up and running pretty quickly. That’s called a launch pad website, but what is it and what’s involved? The launch pad phase sits between the strategy phase and the continuous improvement phase. Here, it’s all about quickly building a website that looks and performs better than the website you have today. Although, it’s not the final product by any means. You launch the new look and functional website by a certain date. Then, that launch pad website is used to collect real user data for changes to be made in the continuous improvement phase. Instead, the launch pad website is seen as the foundation that’s used to build and optimise from. To compare the two, a website using the traditional method is typically launched between three to six months (on average) and is now seen as more of a high-risk option compared to GDD. All of the budget is spent up front and it’s often late and over budget. Along with this, traditionally built websites have unpredictable results as they’re built entirely upon assumptions while they’re also launched and left unoptimised. This means there’s no real improvement over time until the green light is given years down the line to have a redesign. The problem with that is a website is built in a six-month bubble using guesses - and that’s risky. A launch pad website, on the other hand, is seen as less of a risk. This is because, on average, it can take anywhere between 30-90 days to build a website and actually make it go live. That means there’s a new design to do, links to test, checking you have the highest impact pages featured on the website and more. The budget used for a website build is saved for the optimisation stage, while a launch pad website goes live on time and doesn’t go over the budget, meaning there’s a faster time to value. The most beneficial thing about a launch pad website, though, is that it’s the optimisation that drives the results. You’re able to validate assumptions quickly and every decision that’s made is data-driven. A launch pad website can be considered as the solution, as this type of site launches quickly and genuine improvements are made over time based on user behaviour so money can be spent on optimisation. 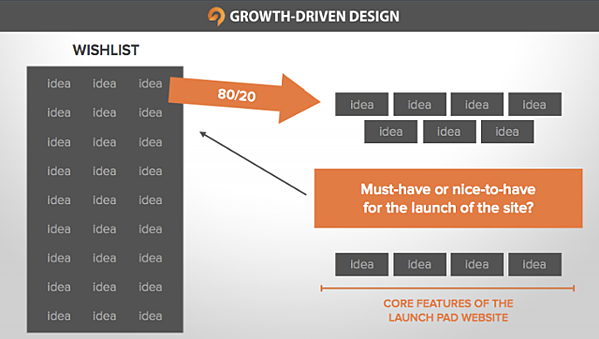 What’s the Point of a Launch Pad Website? That’s probably the first question many businesses are going to ask, especially those that are comfortable with the headaches that traditional website builds bring and are happy to launch a full website right off the bat - even if it takes longer than expected. Well, a launch pad website helps to collect real user data. This data helps to make more informed decisions during the GDD process. This way, you can have users interact with the website so behavioural data can be collected as well as feedback from those same users. The point of it is to avoid getting stuck on analysis, content or other features while building this website. The fact is, no website is ever perfect when it’s first launched - even in GDD. However, the basis of this process is that continuous improvements are made to the launch pad website to further improve it over time, rather than hitting live and leaving the site as it is. This is where user data comes in, as this data helps to make decisions to continue improving the site in the future. In comparison, the traditional method doesn’t use any data and won’t make any changes, except the standard traffic to the website. The launch pad website features wishlist items that you’d want on your website. This includes things like design elements, impactful website pages, changes in users experiences, marketing resources and more. Here, it’s beneficial to run an 80/20 analysis on wishlist items to determine which items are of the highest priority and will have the most impact. Those are the elements that are featured on the launch pad website first and the ones that aren’t the highest priority right now are added later on. The must-haves need to make it to the launch pad website. The nice-to-haves can wait to be added at a later date and are put on to a GDD Dashboard wishlist. In turn, this just continues to improve the launch pad website. And it never stops improving. Although every launch pad website starts with a wishlist, no website adopts a one-size-fits-all approach to get a website launched. The good thing is that there are several approaches that can be used to build the launch pad website. If you have a website that already performs really well, or if you have recently relaunched your website but it could do with some much-needed tweaks, then the refresh method could be the one to use for a launch pad website. There’s no need to undergo a major overhaul, as all that’s needed is implementing some of the major wishlist items that get the current website aligned with your new strategy. Problem solved. The kickstart launch pad method is suitable for businesses that are looking for a superfast redesign. It helps to build a brand new website using pre-built assets such as website templates and existing content. The downfall to this launch pad method is that some wishlist items might need to be sacrificed based on what a pre-built template may have to offer. But you still know what your new website will potentially look like. If a business is undergoing a major redesign and will need a larger website, then the launch and expand method is good for breaking down the launch into various phases. What this means is that instead of having the entire launch pad website ready by a certain date, the project might be broken up into a handful of stages to focus on a different area each time. This allows teams to put their entire focus on one area at a time and work more efficiently so that each phase is completed on time. What Else is Involved in a Launch Pad Website? The launch pad website isn’t going to be perfect. As much as everyone wants that flawless website and to get it right the first time, it just can’t happen because a launch pad website is being set up with the purpose of a website improving over time. Running an 80/20 analysis on your wishlist. Create hypothesis statements for each wishlist item. Once all of this is tied together, the launch pad stage can come to an end and it leads nicely into the continuous improvement cycle - the final phase of the GDD process. The only way the continuous cycle stage can be a success is if an effective launch pad website has been built. 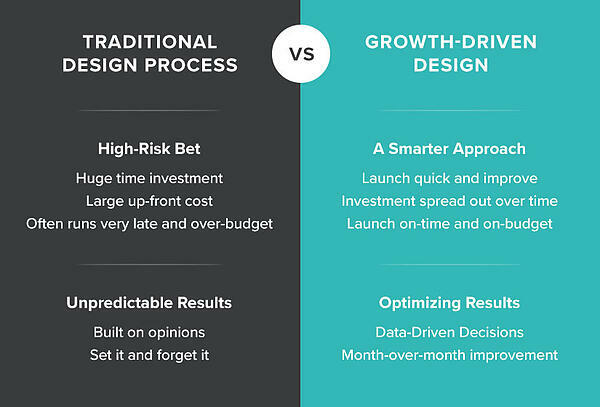 As in-depth as the launch pad website is, it’s only one part of the three-phase process of Growth Driven Design. There’s still plenty to learn about in the strategy, continuous improvement as well as the launch pad phase. Each stage plays an important role in driving optimal results with a brand new website. 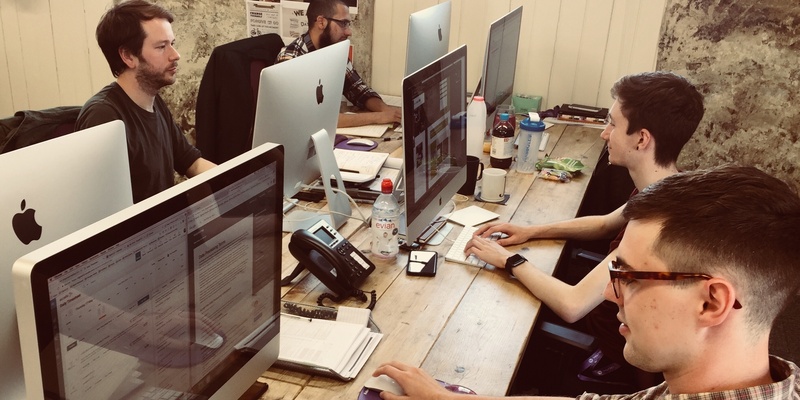 If you fancy learning more about launch pad websites or even the GDD process as a whole, then you can check out the helpful guide we’ve created. While that's receiving the final touches and ready for you to download, why not join our Private Facebook Group for all things Inbound Marketing and GDD? Click on the link below to join. GDD 101: What is a High Impact Page Strategy?